An album to strengthen our faith and serve as a reminder of God's constant presence in our lives. An album reminding us that God is always by our side. Read about the inspiration behind "You Were Never Alone" here. Beauty can be found within every song on this collection. From God's love and mercy, to his constant presence in our lives, this album captures it all. 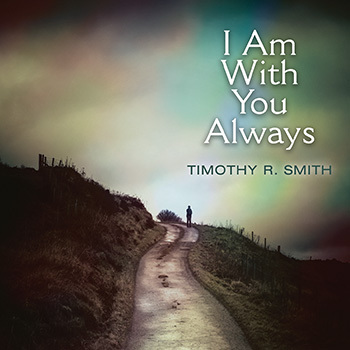 I Am with You Always highlights Tim's versatility as a songwriter of liturgical music, as he reaches audiences of all ages. And while the tone of the collection rises and falls throughout, there is a consistent message of hope: we enter this world with Christ by our side, and we leave this world the same way. Through the darkest of times, when we feel abandoned or lost, he never leaves us. The final song of the collection, "You Were Never Alone," recognizes this relationship — a special bond that we all have with our Lord. The album takes its name Matthew 28:19-20 of the Holy Bible New Revised Standard Version, "Go, therefore, and make disciples of all nations, baptizing them in the name of the Father, and of the Son, and of the Holy Spirit, teaching them to observe all that I have commanded you. And remember, I am with you always, until the end of the age.” This Bible verse calls us to go out and spread the Good News throughout the world. Each of us has been given unique gifts from God — gifts that we must use to glorify him. Those that are filled with the Holy Spirit shall proclaim God's Word to all nations. And yet, the album focuses its attention on the latter half of this quote. Tim discusses our relationship Christ. Through the good times and the bad, our Lord Jesus, whose authority reigns both in heaven and on earth, will always be near. This powerful statement of faith echoes throughout the entire collection. The opening track, "Enter His Gates with Thanksgiving," builds with the steady pulse of one guitar, followed by the arpeggiated chords of another, with a piano outlining the melody. A violin then rises with powerful strums from the guitar, and the choir begins. There is music available for all of these instruments, as well as the choral and descant parts. Cheerful and full of life, this tune is a great choice for an entrance song at Mass, as it calls us to unite as one body and give thanks. An upbeat and driven song, "Lord Let Your Mercy Flow" utilizes a choir alongside Tim's strong vocals, adding a wonderful richness in texture. The lyrics describe God's love and impact in our lives as he watches over us from above, showering us with blessings and gifts of the Holy Spirit. This song is sure to be a hit with your parishioners, as well as your family. Find more music by Tim Smith, here. Or check out his annual collection of psalmody, Forever I Will Sing!